Renta Centre’s outdoor furniture hire options combine top quality construction with style & convenience. 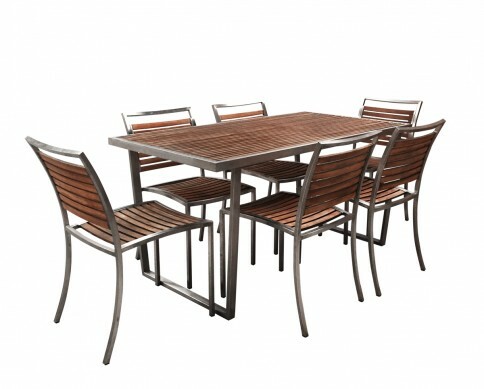 Select from our Plantation or Teak outdoor dining rental range and feel the quality difference. Our outdoor settings are constructed with hard wearing timbers and are suited to the Australian climate. The plantation dining setting is durable and stylish, with sturdy brushed metal frames to suit both modern and classic homes. If you are seeking a slightly cheaper rental option try our teak settings, perfect for dining outdoors all year round, with easy fold chairs. Renta Centre has your outdoor dining rental needs covered! Call a Renta Centre consultant today on 02 9310 1999 to obtain an obligation free quote on your outdoor furniture rental!